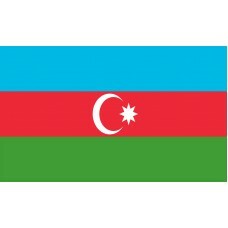 The Azerbaijan flag consists of 3 horizontal bands of blue, red, and green. The center of the flag features a white crescent with an 8-pointed star in the middle. The blue color symbolizes the Turkic custom and legacy, the red color signifies the process of the country to establish it as an independent country and state, and the green color represents the relationship with the Muslim world. The crescent and the star in the middle are the typical emblems of Islam. Some historians believe that the 8-pointed star refers to the eight letters of the word Azerbaijan with reference to the way it is spelt in Arabic. After World War I, following the collapse of the Russian Empire, Azerbaijan declared its independence on May 28th, 1918 but the Azerbaijan flag was not officially adopted until November 9th, 1918. Azerbaijan's independence was very short-lived and two years later, the Soviet Union Red Army invaded and Azerbaijan became part of the Soviet Union as the "Azerbaijan Soviet Socialist Republic" (SSR). It was part of the Soviet Union for the next 70 years and had eight different flags during this period. During the Soviet period, the tricolor flag that had been adopted in 1918 was banned. In 1956, the flag was raised in the capital city of Baku, by an angry protestor, JahidHilaloglu, and for that, he was sentenced to four years of prison and was later put into a mental home. 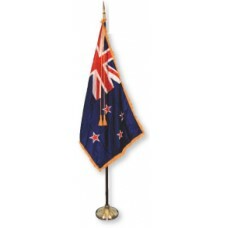 During the late 1980s the flag was used frequently in demonstrations for the country's struggles with independence. This led to the 1918 tricolor flag being re-adopted on 5th February 1991 and Azerbaijan finally gained independence on August 30th, 1991. The national tricolor flag holds great significance to the people of Azerbaijan as it recognizes their independence. There are references to the flag in the National Anthem and National Flag day was introduced in 2009 and celebrated on November 9th. Azerbaijan is located in the Asian continent and shares borders with Russia, Georgia, Armenia and Iran. It was the first Muslim country to gain independence. It is referred to as the "Land of Fire," due to one of its most famous sites, the "Yanar Dag." At Yanar Dag, there is a natural glowing fire that is maintained and burns by the gases that seep underground. The capital of Azerbaijan is Baku, which is home to the "old city." It is the surviving medieval town that shows Azerbaijan's history. It is also home to the "Baku Museum of Miniature Books," which is the only museum of miniature books in the world as well as "Little Venice," which is a man-made waterway in Baky. As well as the beautiful monuments, museums and buildings that Azerbaijan boasts, it also has over 400 mud volcanoes, which is more than anywhere else in the world. We are ready to give our heart and life for you. All of us can give our blood for you. 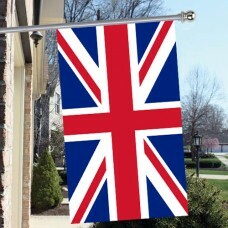 Live happily with your three-colored banner. Thousands of souls were sacrificed for you. Your chest became a battlefield. A thousand and one endearments are in my heart.